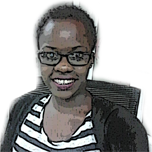 The announcement that there would be a one week blogging challenge for Ugandans was made last week with about three days notice, and naturally one of the biggest issues was whether people would be able to keep going for all the seven days. Be that as it may, that did not stop people from participating. There are people that said their week ends on Friday therefore they only participated for five days since the challenge did not specify the number of days. There are those that missed the part where the challenge was a post per day and ended up posting many posts on one day and posting nothing on other days. There are others that missed the bit where these were supposed to be recordings concerning Uganda and went ahead to post about whatever it is they wanted. A few went ahead and re-posted stuff that they had done in the past which sort of defeats the purpose here but hey!! Those that kept posting even when they did not ‘feel’ their posts: These chose to honor the commitment that they made to post a blog everyday for seven days and regardless of how they felt about the posts at the end of the day, they came through. That had to take courage. There are those that chose to post only ‘quality’ material therefore they were willing to go back on their word rather than waste people’s time with stuff that was not worth it so ended up not posting every day. I am not yet sure if I am glad that I participated in the challenge, I won’t spend so much time dwelling on that though. To the people that took the time to read, share and or comment on the blogs (especially mine), thank you very much. To the organizers, please communicate such challenges ahead of time so that people can take enough time off planning and preparing to ensure better quality posts are produced. May be set targets and guidelines to help the bloggers get better at their craft. To the bloggers that participated, I hope you achieved what you were hoping for. If you didn’t set any goals before participating in the challenge, be sure to do so next time. May you keep keeping on. To the haters, LOL nah I have nothing to say to y’all. 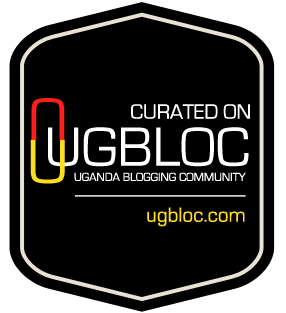 When it’s all said and done, may the Ugandan blogging community become bigger and better. My first socks of the day…. thank you for participating.